Regardless how well you take care of your skin, the back of your hand will always carry the tell tale signs that you are getting old. The skin gets thinner and we lose fat from this area as we get old which means that the veins are going to get bigger and more visible with time. Although they do not cause any physical problem, these veins can add more years to your appearance mostly if you are very slender. The best thing is that these veins can be removed leaving you with younger and smooth hands. With recent advancements in laser treatment, laser technology has become hand veins worst enemy. Focused pulses of light will be directed to the problem veins which only target the designated blood vessel. With each wavelength of light, you will be getting closer to getting rid of the veins. The heat which is generated by laser heats up the veins causing them to collapse and vanish. There are no major preparations needed before this treatment. A few recommendations that need common sense will include not staying out in the sun for too long, avoid taking alcohol, smoking and aspirin at least one week before the procedure. On the day of laser treatment, you should not use moisturizer, creams and lotions on the area which is going to be treated. Laser hand veins removal feels like small rubber band snapping on the skin. Laser treatment is well tolerated and pain medication or anesthetics are not needed. The procedure for the laser treatment does not take too long. You can spend an hour at the clinic and there is no downtime that is associated with this therapy. The risks which are involved in this treatment are less. Your eyes are going to be covered during the treatment. After the procedure, you are going to feel a slight bump on the skin which is going to clear after two to four hours. The area is also going to appear slightly redder than normal. This is not something that you should worry about as it is normal and expected. There are some precautions that need to be taken after the procedure. After the therapy, it is highly recommended that you keep away from the sun. Healing is going to be facilitated by wearing a support hose. The pain is minimal and over the counter pain medication will work. There is no downtime after the procedure. You can go back to doing your normal activities almost immediately afterwards. A lot of people do not like the veins in their hands. Maintaining younger looking hands has now become a growing trend in turning backs the hands of time. Laser treatment is a safe and effective method for getting rid of hand veins. 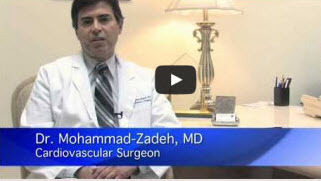 If you are looking for the best vein removal specialist, you should get in touch with Dr. Zadeh. You are guaranteed of success in the procedure. You will be pleased with the new look of your hands and no one will ever tell your age.